Commercial Real Estate Brokerage Karen Sunday & Associates specializes in commercial real estate - Newport Beach, Fashion Island, Costa Mesa, Irvine. 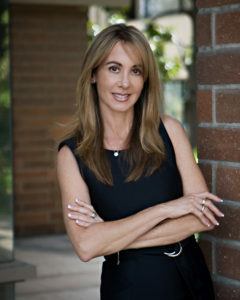 Karen A. Sunday has been a top leader in Orange County commercial real estate since 1986. She is an honors graduate of the USC School of Business where she attended college on academic scholarships. When she graduated, Karen started in commercial real estate brokerage. Karen was previously employed by the Irvine Company as Director of Leasing for several years. She oversaw 3 million square feet of office buildings in Newport Center before becoming a broker and starting her own brokerage firm. Today she is the owner of Karen A. Sunday & Associates. She specializes in Tenant and Landlord representation and sales of office, industrial, and retail real estate. She has sold several buildings including Billy’s at the Beach and the Ritz Restaurants along with the office building and the marina as well as buildings in Newport Center and Orange County. She has also closed lease transactions in excess of 100 million dollars. Karen has extensive relationships with the owners, leasing agents, developers and leaders in the brokerage industry. Karen is dedicated to understanding the current and ever changing real estate market in Orange County. Her knowledge, expertise, creativity, and personal approach enable her to secure the best possible deal and provide superior results for her clients. She is professional, trustworthy, conscientious and enthusiastic, and she takes the time to understand what is best in the long run for the clients she represents. Long term relationships with her clients are important to her. Karen was one of the top brokers in 2015 for the Irvine Company. She is active in the community and in commercial real estate networks and organizations. Karen is also a sports enthusiast, playing golf most of her life and plays in many charity golf tournaments. She also enjoys traveling and skiing, and she owns properties, including a beautiful home in the Indian Wells Country Club where she enjoys spending time with friends and family. Now Karen’s focus is commercial Real Estate Brokerage Karen Sunday & Associates specializes in commercial real estate – Newport Beach, Fashion Island, Costa Mesa, Irvine. Karen Sunday & Associates is a Commercial real estate brokerage firm specializing in both Tenant and Landlord Representation headquartered in Newport Beach, California. Karen’s expertise is in the leasing and sales of office, industrial, and retail commercial real estate in Southern California. Karen Sunday, Broker, sells and leases to potential users, individuals, companies, and investors and represents their best interests in looking to expand, renew, sublease and relocate into new or existing corporate locations. Karen is dedicated to understanding the OC commercial real estate market. Her years of experience and knowledge of the OC area are combined with her long term relationships with building and business owners, developers and leasing agents. This experience enhances her ability to achieve the best possible deal for her clients and provide them with a new facility/location that will enhance their business. Her firm has a 25 year proven track record from years of experience understanding both sides of a real estate transaction as she has had both Landlord and Tenant experience. Karen is a top expert in the field of Commercial Real Estate Brokerage through years of good ethics, hard work and perseverance. She has successfully negotiated and concluded over 100 million dollars of Commercial Real Estate Transactions and is a leader in her Industry. The firm has long-standing relationships with the Industry Leaders, CEO’s, Owners, Developers and Company Presidents and the commercial real estate brokerage industry. She is fully committed to concluding successful real estate transactions and success for her clients is measured by the value of the results the firm produces its clients. Karen takes the time to truly understand what is best in the long run for the companies she represents. She goes through all possible strategies and options and presents those that will ultimately benefit the firm in the long run. She listens to their needs and represents the best interests of all involved because of the importance of long term relationships and understands the importance and benefits of future referrals. Karen is established, conscientious, professional and assertive and provides a more personal approach to clients and consistently obtains competitive leases and better than “market” transactions using a network of relationships, knowing the local markets and ultimately proven negotiating skills.